It Works For Me. Margaret Kaine Shares Her Writing Rules. 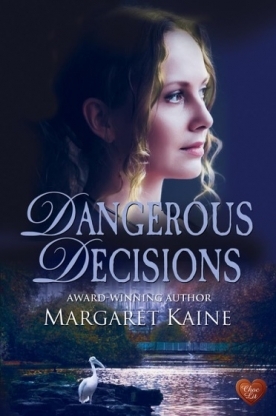 This week I am delighted to welcome romance writer Margaret Kaine to my blog to discuss her writing process. 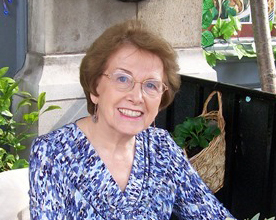 Margaret's short stories have been published around the world. Her debut novel, Ring of Clay, won both the RNA's New Writer's Award in 2002 and the Society of Authors' Sagittarius Prize in 2003. 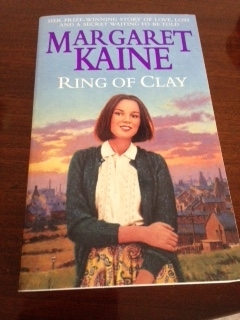 Since then she has written romantic sagas set in the Potteries. Her most recent title was published by Choc Lit. Thanks for joining me today, Margaret, and for agreeing your share your writing rules. What kind of a writer are you..? I'm afraid I'm not a terribly organised writer. For instance, I don't have a structure in place such as always writing between certain hours of the day. One reason for this is that sitting at the computer for long periods results in even more neck/shoulder/back aches than usual. But that doesn't mean that I don't consider myself a full-time writer. As a lark rather than an owl, my best time for writing is in the morning, and I do endeavour to use those hours productively. And I'm lucky in that I can easily slot back into a chapter after returning to it after a break, so I'm always popping back into my study later in the day - which also gives me some exercise. Authors who can write 2,000 or more words a day fill me with awe. I've long accepted that my own writing works best if I don't give myself unrealistic targets, but I do discipline myself to achieve at least 500 words and hopefully more. Once I've completed a chapter, I find it invaluable to read it aloud. I wait until the house is empty, then project my voice as if I'm reading to an audience. This seems to work better than reading quietly, in revealing repetitions, flat passages, or whether the writing flows or lacks pace. I then edit immediately. After several days I read the chapter aloud again, before a final polish. Everyone has a different way of writing. Some will draft the whole novel, wanting to tell the story before editing. They then spend time on editing and re-writing other drafts. Part of me would love to be able to do this, but I just can't work that way. For me, each chapter is a stepping stone and I need to be happy with it before I can proceed. I'm not a plotter either, often having only a character, a setting and a vague idea before I begin a novel. After that it is like a flower opening its petals as the characters lead me into the story. Writing is a journey of discovery for me just as it is for the reader, and I enjoy that. A plus is that once I've typed the magical words, "The End", only a minimal further edit is needed. If I'm writing and half way through my brain feels stale and I'm forcing the words, I get up and leave it. Routine tasks such as ironing help, freeing the mind to relax, especially if listening to a favourite CD. Even a short walk in the fresh air can be beneficial. From experience, I've found that if I'm not currently feeling the "buzz" that writing can give, it will show on the page. Share your writing. Join a workshop or writing group - as professional a one as you can find - and listen to constructive criticism. Not only of your own work but also of other people's. I have learned so much in this way, and still do. The encouragement and supportive friendship that grows out of such bonds is also rather special. Lovely to hear from you, as always, Jen, and I'm glad you have had the chance to re-connect with Margaret. Providing support to other writers is so important. What a lovely comment, Jen. I clicked on your name and as soon as I saw your photo I remembered you immediately. Congratulations on having your debut novel accepted, a huge achievement in today's publishing world, and I hope it does really well when it comes out next year. Fascinating glimpse into your writing world and process, Margaret. I'm especially happy you visited Susanna's blog as I remember meeting you at an RNA conference and you were so kind and supportive to me as a then new writer. Thank you for commenting, Louise. As Susanna says, writing can be an isolating life, so it's really important to have a social life too. However, I suspect that many authors are like myself and especially love to meet up with other writers, but not exclusively of course. Thanks for your comment, Louise. I agree with Margaret that being able to get together with other writers is hugely important. Writers do spend a lot of time alone, so being with writing friends matters. I'm not a writer but I have enjoyed the insights from the Writing Rules posts. I always thought of authors as working on their own. I'm intrigued to see that sharing her writing with fellow writers is Margaret's most important rule. Interesting post - thanks. Thank you for the comment Liz. I hope you find the suggestion useful. I'm pleased you found the post useful, Liz. I agree with you - it's always interesting to find out how other writers work. Thanks for commenting. What an interesting post. It's always lovely to hear how other writers work. I so agree about sharing your work with others and I'm grateful for the tip of reading work aloud as though you have an audience. Will try that. 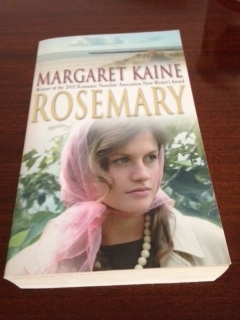 Thanks for the links to Margaret Kaine's website and social media too.